Avebury Stone Circle is one of the most impressive bits of ancient history in England, but did you know that it’s actually the largest megalithic stone circle in the world? Many people rate the standing stones even higher than Stonehenge, and it’s not surprising since you can get up close and personal with the structure. 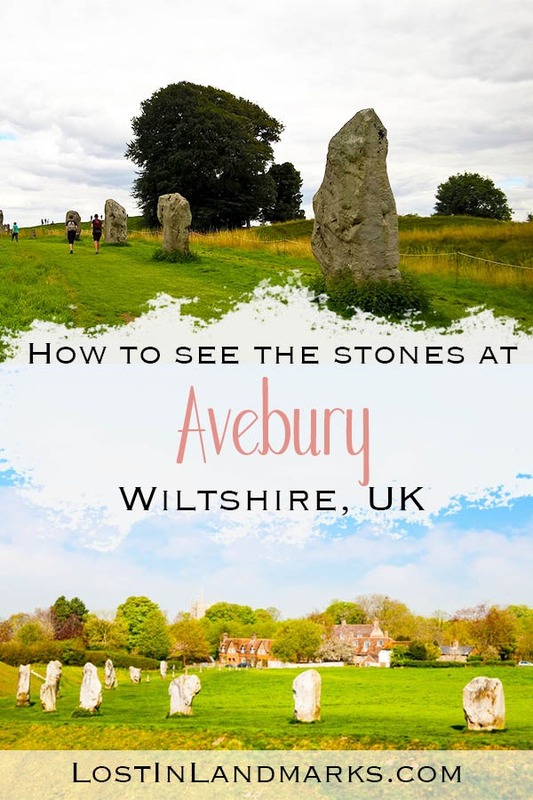 If you’re looking to add another bit of history to your UK itinerary this World Heritage Site is definitely recommended – here’s our guide to visiting Avebury Stone Circle and the surrounding village in Wiltshire, England. One interesting thing about Avebury is the fact that it doesn’t sit on a desolate landscape with rolling hills all around, like Stonehenge. It’s actually has a small village grow up around it over the centuries which gives the area a really quaint and personable feel. This is a typical, gorgeous English village that looks like it’s just from a postcard! One other fact about Avebury is that if you visited just 100 years ago it wouldn’t look how it does today. With these ancient sites it’s easy to think that it’s been like that since the very beginning, but as you read on you’ll see that the history of the stone circle meant that it’s only fairly recently been restored. 2 Is Avebury better than Stonehenge? 3 Can you visit Avebury for free? 7 What other ancient sites are nearby? Avebury henge and stone circle is thought to have been built between 2850BC and 2200BC and underwent many changes in that time as it was built and subsequently added to. The henge is a huge circular earthwork mound and ditch that surrounds the inner stone circle. The circle consisted of large sarsen stones, some as large as 40 tonnes and a height of over 4 meters, and originally it had around 100 stones in total. This outer circle then encased a further two inner circles. Leading to the circle was the West Kennet Avenue which is a long stone avenue nearby. Overall it’s a huge site and just like Stonehenge, there are many theories about the why and how it was built. Certainly more than just a pile of rocks! The site was abandoned around about 1800BC and since then has gone through a lot of changes. The main one is that almost all of the large sarsen stones have been removed in previous centuries by locals for either religious reasons (many were destroyed in the 17th and 18th century when Puritans were more mainstream in the country and also in the 14th century as is seen with the discovery of a body under a buried stone) or for building materials. It’s hard to imagine nowadays that some of the large stones were completely broken up and used in local buildings. In those days Christianity was a driving force and these stones were a symbol of paganism and also the devil – it’s easy to see that the people of the time might not have wanted them around. Avebury, as it stands today, is down to a much more recent figure – Alexander Keiller. He was an extremely rich man, who inherited his riches from the family marmalade business, and he took it upon himself to buy the land and restore Avebury. He used the plans that had been made centuries prior to help him build the circle back to its former glory. Many stones were dug up again and repositioned and where there were missing stones it’s marked with a small concrete post. It was certainly a labour of love, brought in pioneering archaeological techniques and it’s amazing to think that without that we wouldn’t have the historical site to explore and visit now. One rather gruesome discovery made by Keiller was the body of a man underneath one of the stones that had been buried. Coins were found in a pouch next to him which dated to the 14th century – giving weight to the theories that some of the stones were buried in this time by the locals. It’s thought that as he was digging the hole in which the stone was to be buried it fell on him and crushed him to death. He also had on him some scissors and a lancet which they believed showed him as a travelling barber and surgeon. The stone that has since been resurrected is now known as the Barber Stone. 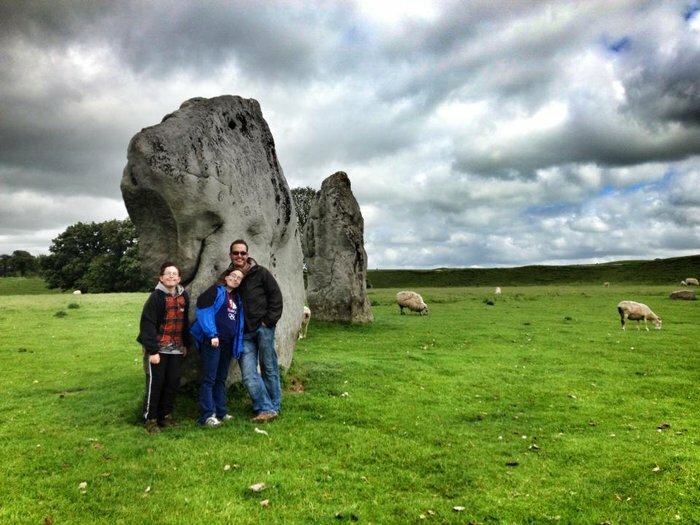 Is Avebury better than Stonehenge? Having said that, and with my love for Stonehenge already declared, is Avebury better? You get such a different feel here, so much less rushed, you can stay as long or as little as you like and of course you can touch the stones and feel really connected to them. Stonehenge is regimented, you go round with your audio guide, learn and then pretty much leave (hopefully after spending some time in the visitor’s centre to get the most out of your trip). Avebury has the stones, the village to explore and also the museum and manor house as well which makes a really pleasant day out in my opinion. If you can, do visit both of them – they are amazing sites and if you go with the right attitude (i.e not just ticking off the sites) you’ll love them I’m sure. One thing to note, if like us you’re a dog family – Avebury is dog-friendly whereas Stonehenge is not. There are sheep around though so they do need to be kept on leads. 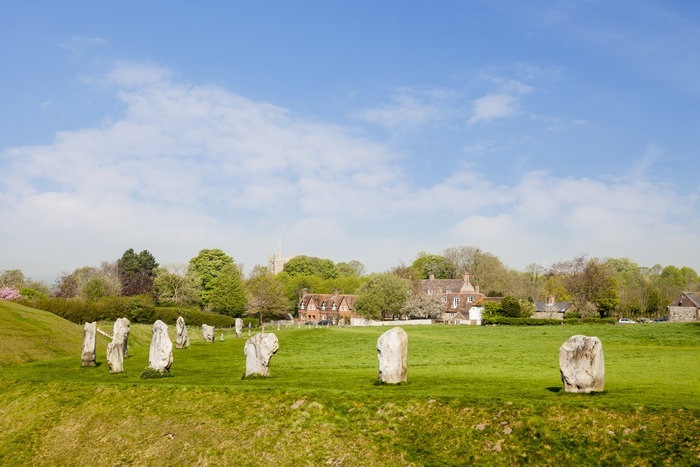 Can you visit Avebury for free? Yes. 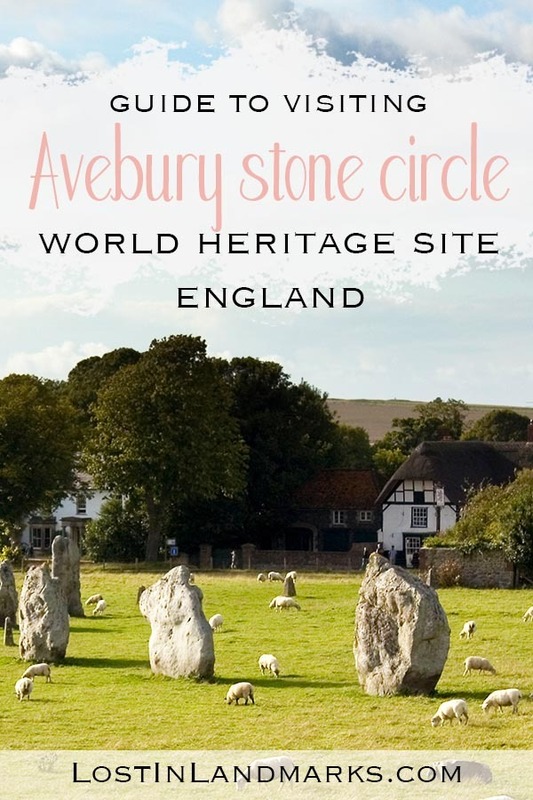 As the stone circle at Avebury is actually part of a village that people still live in, it would be pretty hard to make it a paying attraction. What you do need to pay for is the car parking which is just outside the village. Members of the National Trust or English Heritage get parking for free, otherwise, there’s a charge of £7 for the day (current as at February 2019) or £4 after 3 pm. Yes! There are no restrictions like at Stonehenge and no rope to walk behind. You can stand up next to the stones, touch them and enjoy them – obviously being respectful and not trying to climb them though! 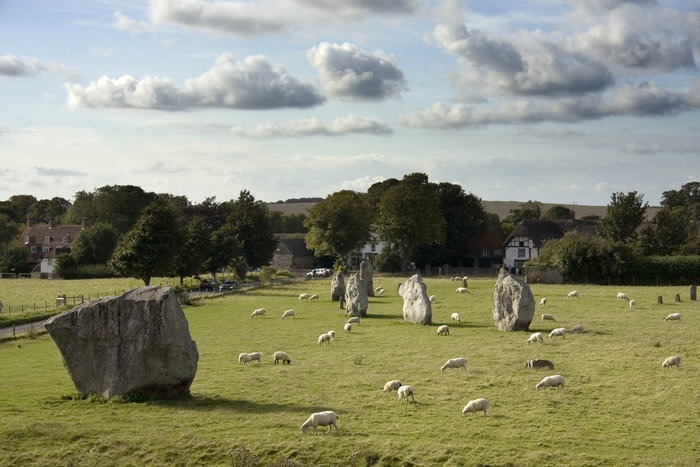 The Stones of Avebury are open year round and there are no visiting times. Obviously, you should remember that this is a village with people who actually live there so keep to daylight hours and I’d suggest being quiet if you come along at dawn in the summer which is going to be pretty early! As with all tourist sites, they do tend to fill up from around 10.30 am ish onwards with people coming for the day, as part of an explore around the area or as part of an organised tour. That said, we visited at those times in June and didn’t feel that it was too busy. Summer holidays and school break times will also see an increase in tourists so do bear that in mind. Summer and winter solstice is a special time for the stones and it will get very busy around this time so do expect accommodation options to be more limited then and for the car parks to fill up fast. It is an outdoor site so if you’re coming on a rainy day it might not be too pleasant, but there is the museum there to dry off should you need it. Avebury village is quite small and obviously, the main attraction is the stones themselves. You could spend the day walking around the various sites in the area and providing the weather was on your side you’d have a pretty good day I think! There’s also a couple of other things to note in the village though. First is the Alexander Keiller Museum. This is housed in 2 old 17th-century barns and shows off some of the artefacts that Keiller found on his excavations of Avebury and the nearby sites. There are interactive child-friendly exhibits and dressing up areas to keep little ones occupied too. There is a small charge for entry to the sites at around £4.40 per adult (correct as at February 2019). Avebury Manor and Garden is another interesting building, not nearly as old as the stones but pretty old! It dates to the 16th century and has been restored recently with rooms in many different styles throughout the ages that the building has been around. So you can see Tudor, Georgian, and Victorian styles on show – and you can enjoy it all up close too. No barriers, you can even sit on the beds and chairs as you go round – not often you can do that in old manor houses! 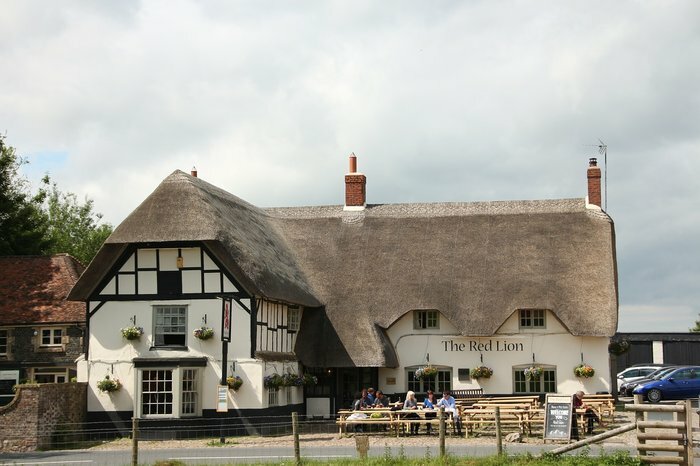 Also in Avebury, you’ll find a couple of cafes, The Red Lion pub and some small shops. 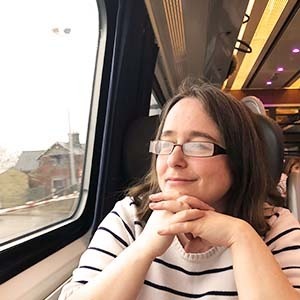 It’s not overrun with tourist shops which I do find is really nice – it can definitely spoil an area – but some nice places to have a browse around and enjoy a lovely English country village. What other ancient sites are nearby? This part of England is really special and there are a wealth of historical sites for you to enjoy within a small area. Within a 1 mile radius, and therefore fairly walkable if you have the time, is also the West Kennet Barrow, Windmill Hill and Silbury Hill – all sites are free to visit. Stonehenge is about a 45 minute drive away from Avebury so it’s a great idea to combine the two. Interested in more Ancient English sites? – Our post here lists 17 different sites around the country for you to enjoy. Avebury is situated in Wiltshire, England – getting down in the South West of the country. It’s about 85 miles from London and around 2 hours 20 minutes from the centre of the city. It’s easily reached by driving mostly motorways and can be combined with a day. out to Bath, Stonehenge or even the Cotswolds. Parking is about 500 yards from the stones and is free for National Trust and English Heritage members. If you’re not a member then you’ll need to pay £7 for the day or £4 after 3 pm. If you don’t have your own car you still have a couple of options to get to Avebury. Bus: There are two buses that go by Avebury. The Stagecoach 49 runs hourly from Swindon to Devizes and passes through Avebury. Another local bus is the Thamesdown Transport bus, number 42, which goes from Calne to Marlborough. There are many tours from London that include Avebury. Some include other cities such as this day trip which also goes to Bath, or just take in the ancient sites like this one. Places to stay in Avebury are quite limited because, of course, it’s just a small village. If you do want to stay in the village itself then I encourage you to look ahead at your options and book as soon as you know you’re visiting. They all come highly recommended – you’re not going to get a bad stay here no matter which option you choose. In the village of Avebury itself, there is a cottage that you can rent. It’s called Fishlock’s Cottage and is run by the National Trust. It’s stunning and would be perfect if you wanted to enjoy the ancient landscape of this beautiful area at your own pace for a longer period. It sleeps 2, plus you can have a cot if you have a baby also. 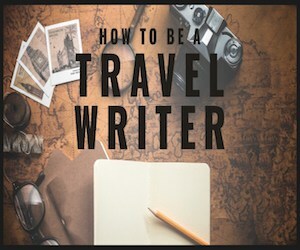 It does get booked up quickly though so do book well in advance if you can – it can be booked for less than a week but only nearer the time and as it books up quite a lot, I think you might find it quite difficult to do that unless you’re travelling in the offseason. Also in the village is a bed and breakfast called Avebury Lodge. This is much better if you only want to stay a couple of nights or if the cottage is booked up. Another option, again in the village but more on the outskirts is Avebury Life. This is the most affordable option in the village itself and it’s around a 10-minute walk to the stones. Outside of Avebury, you have another couple of bed and breakfast options in the neighbouring villages. Beckhampton Bed and Breakfast and also Dorwyn Manor B&B are good choices still within walking distance, albeit a little further than the others. Check out some more options for Avebury accommodation here.